Henry George Bohn was born in London, the son of an immigrant German bookbinder and his Scottish wife. Bohn followed his father into the bookbinding and selling business. He had a gift for languages and travelled extensively on the Continent. In 1815 he visited Leipzig where, on the day of the battle of Waterloo, he attended a book fair, making purchases against little competition. He married Elizabeth Simpin in 1831 and then set up his own business independent of his father. The business flourished and in 1845 he began to publish a series of books under the title of the "Standard Library". These were followed in later years by the "Scientific Library", the "Antiquarian Library", the "Classical Library" (in 1848) ,the "Shilling Series" (in 1850) and others: in all totalling over 600 volumes. He wanted to set up his own publishing house with his sons but they were not interested and opted for other professions. He then decided to gradually sell his business and achieved a considerable profit: by 1875 the sales had raised nearly £100,000. Bohn attended the Great Sale at Strawberry Hill in 1842, buying books and pictures on behalf of William Beckford, then 82. His father had enjoyed turbulent dealings with Beckford in previous years and the son's relationship was equally stormy. 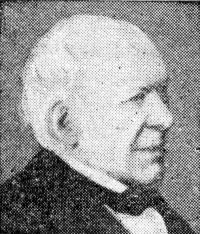 Beckford wrote to him on 3 May 1842 from Lansdown: "We have paid quite dear enough for every article - The banquet being over - now comes the reckoning. Have the goodness, therefore, to send the goods and the account that I may settle it immediately. I [wish to] forget the egregious follies committed at this high-puff sale." 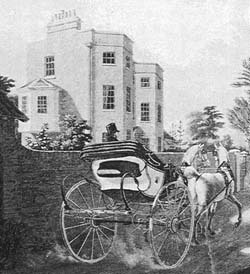 In about 1850, Bohn acquired Northend House on the north side of Richmond Road, Twickenham just opposite Montpelier Row. Later, in 1873, he also acquired High Shot House on the opposite side of Crown Road. At North End House he indulged himself by collecting rare shrubs, works of art, chinaware, silverware, and other items. His collection grew and to make space he sold some of his china and ivory over a period of 3 years for about £25,000. His remarkable collection of conifers, rare shrubs, and roses was displayed in annual entertainments attended by Charles Dickens, George Cruikshank, and others, and his plants frequently figured in illustrated gardening journals. His pictures and miniatures he kept - adding to his collection so that in later years the house was again over full. The collection included works by Durer, Van Dyck, Breugel, Memling and Raphael. Until 1881, though well over 80 years old, he remained physically fit; at 85 he joined in Quadrille dancing on the lawn of Northend House. In 1882 he became infirm though still mentally alert. Helped by his daughter, Mrs Munton he worked at preparing a catalogue of his art collection. Despite the strictures of his doctor, he continued to work at the catalogue to within a few days of his death on 22 August 1884. The balance of his art collection was sold off in 1885 for £20,000. The Reverend R S Cobbett, Curate of Twickenham, noted the visit of the Fine Arts Club and the Philo-Biblon Club to North End House on June 17th 1871 - in all some 800 visitors! Cobbett goes on for 3 pages to list some of the items displayed, praising the whole collection as one of "National Celebrity". He also mentions that Northend House had been burgled early on the morning of April 20th 1870. Silver plate and other valuable pieces worth over £1000 were stolen. the whole collection...one of "National Celebrity"